For some new hires like college students and recent graduates, starting new entry-level jobs might be intimidating. They can use some help in the onboarding process. New hires need to understand company culture, along with having clearly defined expectations for their positions. When employers communicate important information to new employees, they not only create effective onboarding programs, but they also give employees the necessary tools to succeed. Eden Chen, Co-Founder of Fishermen Labs, shares his company’s approach to onboarding. Want to help your new hires in the onboarding process? Check out our blog and follow us on LinkedIn, YouTube, Twitter, and Facebook. 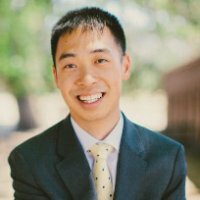 Eden Chen is the Co-Founder of Fishermen Labs, one of the fastest growing software development agencies in the US. Eden is a serial entrepreneur and heads up various other startups including Knife and Fox (design agency), Ctrl Collective (co-working), Glo Bible (app with 3 million+ downloads), Zolo Studios (game studio), and Dev Crew (international software development). 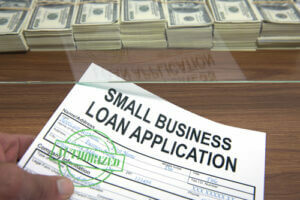 Approved small business loan application and dollar bills. Photo courtesy of Shutterstock. College Students, Have You Thought about Asking These 6 Questions During Your Jobs as Interns? For college students with jobs as interns who have the opportunity to ask questions to mentors or employees, there are six they should in the following post. Networking with alumni is one way for college students searching for jobs to get some advice. Here are seven questions in the following post for students to ask alumni. Looking for a new direction in your job search this summer? Attempting to expand your personal network after graduation? Struggling with career decisions? Been-there-done-that career advice and mentorship may be closer and easier than you thought. When was the last time you tapped your alumni network? In order to get noticed by recruiters, you should stand out from the crowd of job seekers. In the following post, learn five tips to help you separate yourself as the best job candidate. Will Losing Baby Boomers in the Workplace Affect Employers? As baby boomers enter retirement, how much will that affect employers in the workplace? What, if any, concerns do they have? Learn more in the following post.